Most times we run our monthly giveaways, we’re giving you a chance for a watch that we’ve already reviewed, so you have a bit of an idea of what you’re getting yourself into. This time around, we’re flipping that script. The watch in this month’s giveaway, the Crafter Blue Mechanic Ocean, is currently up for pre-order, and we’ve got one incoming for review (so watch for that later this month). So, what can we tell you about the Crafter Blue Mechanic Ocean? Well, quite obviously, it’s a dive watch, with some recognizable visual cues to it’s design. 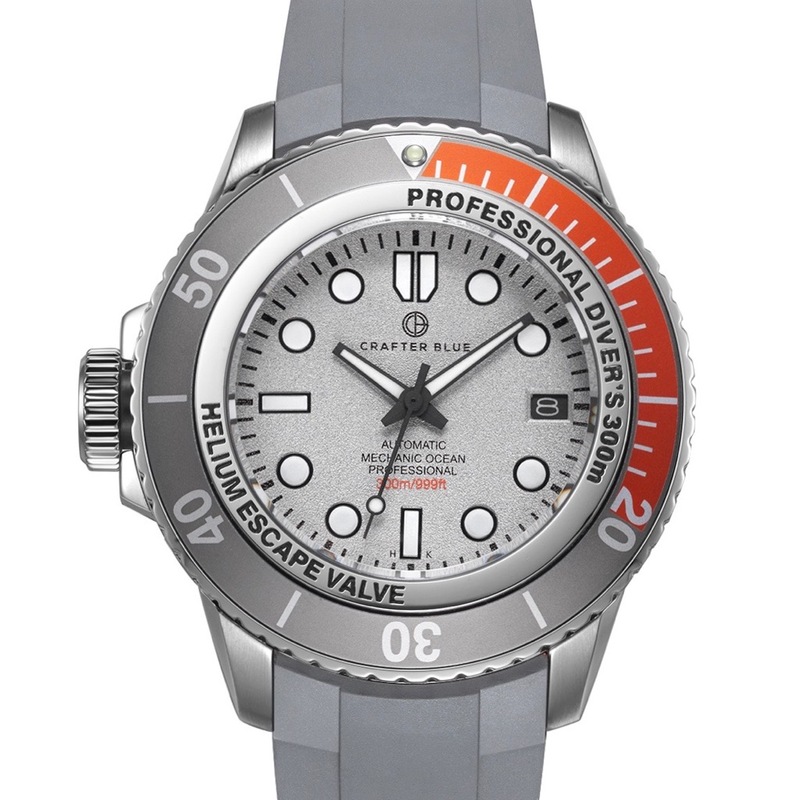 The particular reference we have for the giveaway is the version with a grey dial and a grey/orange bezel, which is not a common color combination when it comes to divers. For me, though, it works, as I rather like grey dials on watches. Not as much as blue, but they are still nice. Tucked into the 45mm case of the Crafter Blue Mechanic Ocean is a Seiko movement, so reliability and accuracy (not to mention serviceability) should not be much of a concern. With a domed sapphire crystal in place, and the crown locked in place, the Crafter Blue Mechanic Ocean carries a 300m WR rating along, which means this is going to be just fine for whatever adventure you may have planned.